The happy Raph one was hilarious. Did anyone post a link to the We Are Family 2k3 vid yet? That one is one of my faves. "You just made your last mistake, Bugeyes -- 'cuz nobody beats up my best buddy and gets away with it -- Nobody! Got that?!" 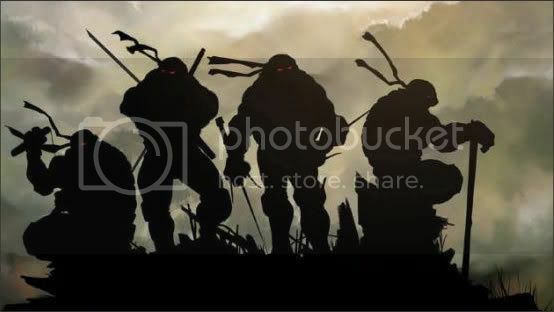 Teenage Mutant Ninja Turtles 4ever!! First movie in 5 seconds. Probably the funniest Turtles action figure movie in existence. Oh god! ~_~ Help! I can't stop laughing..AHAHAHHAHAHHHAHHAHAHHAHHA!!! My sides hurt! Somebody help! Last edited by CharmedSerenity; 06-30-2007 at 07:30 AM. if everyone cared by Nickelback. Great music video! My chemical romance and Evanescence are the best bands ever! 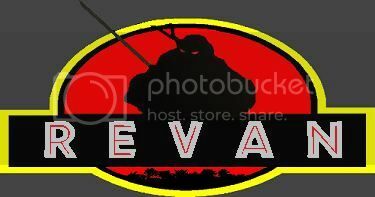 *blinks at it* It killed my internet explorer...maybe even a few braincells. Speaking of killing braincells, I found this, featuring Mikey and Splinter among others. Favorite incarnations: 2k3 animated series, 2014 & 2016 movies and the IDW comics. That was pretty much the best thing when Master Splinter starts with his super tenor voice!! I must make a correction. The video I posted was actually Korean not Japanese. I should have paied more attention. Firstly, I didn't see the lettering. And secondly, it wasn't Buster's Japanese voice (and I know exactly who it is). Thirdly, I didn't hear it well, since the sound seemed muffled. But speaking of TMNT and Tiny Toons.. I vaguely remember seeing something like it before. Live and let live... or go to hell. type youtube in  like you are doing an image around the video. It only works with youtube vids. OMG!!! I totally remember that! It made me laugh back in the day & I still find it hilarious! Thanks for posting that!!!! oh good lord!! Was that really Splinter's voice actor singing or a stand in? And seriously Michaelangelo should never be handed the mike to sing. EVER! Mikey just doesn't have a singing voice it was so scratchy and raspy. They should have Dontello singing instead. He sounds like he would have a good singing voice.